A pair of anglers have embraced the evolution of electronics and aren’t looking back. Anyone who’s ever heard the trilling call of a loon reverberating through a northern valley will understand nature has a few things still to teach us. Likewise, the bluewater cruiser who watches the minute adjustments of a shearwater as it glides effortlessly along the surface of an ocean undulating at seemingly random intervals, wingtips skimming the wavetops. The same goes for coastal anglers who follow the persistent hunt of an osprey, stooping in a dive to pluck fish from the sea. And the list goes on. 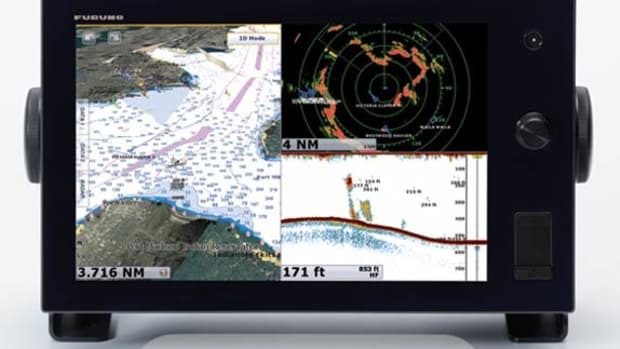 Boaters and anglers, in their quest for better experiences on the water, whether it be more efficiency in their routes or productivity in their hunt for game fish, have a constantly evolving set of electronic tools that can make all the difference in achieving their goals. 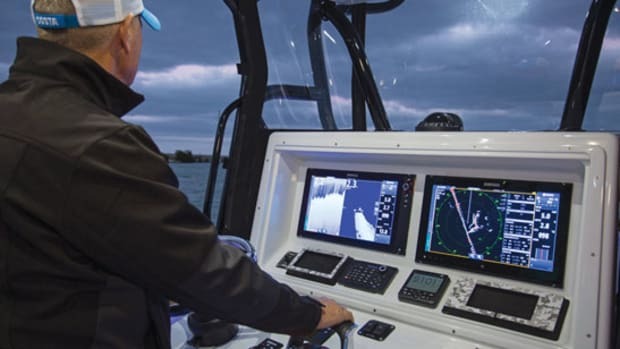 The wilder the waters get, from the darkest depths to the billfish-rich waters of the Bahamas, the more important the electronics become—and their users’ trust in them. 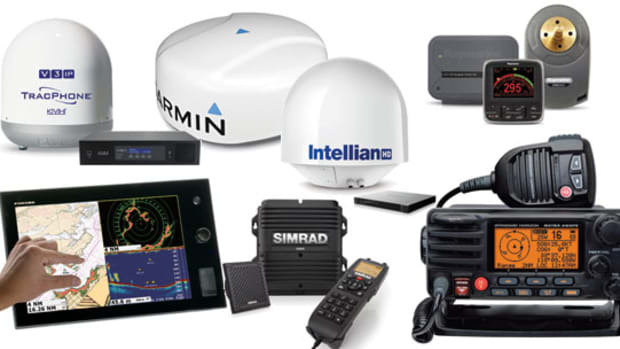 I spoke to a couple of boaters who are using the latest versions of these devices to focus their respective fishing efforts. Mike Padgett is an angler out of Miami who uses a Furuno helm system on his 32-foot SeaVee. 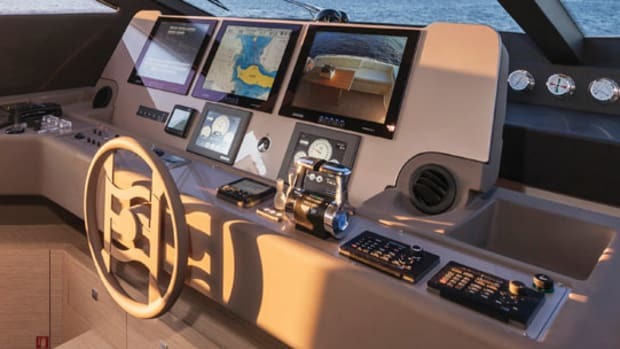 He optimizes his helm space with 16-inch and 12-inch TZTouch2 multifunction displays positioned side by side, and he dials in the split screens to make the most of that information flow for the tasks at hand. 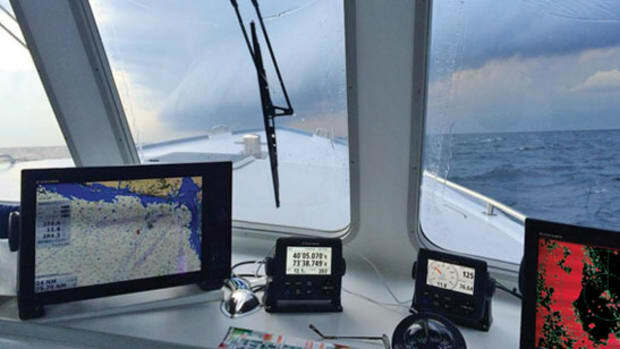 “If we’re going offshore fishing, I’ll usually split the screen between radar and the bottom machine,” Padgett says. “I’m looking for birds then, as well as looking at the bottom and seeing what’s going on underneath us. The Furuno bottom machine gives us a lot of detail and is always very accurate. The scrollback feature on the bottom machine is great: If you happen to see something you can stop and scroll through. If you see baitfish holding on structure, you can put a mark on your chart.” While systems from other manufacturers have this feature as well, anglers like Padgett have a certain vision, for lack of a better word, to see how the tool may offer improvement when used a certain way. His attention to the nuances allows him to understand a system’s potential and use it for incremental improvement. “I’ve got the new Furuno X-class 12-kilowatt radar,” he says. “It gives me the detail at distance, even on rough days. I’m still finding one and two birds at 4½ miles so that’s the type of fishing we see when we go over to the Bahamas.” Padgett says the radar itself gives him excellent target definition, but it’s the tools included in the system that allow him to discern what he’s seeing and use it to his advantage. “While I’m out there fishing I can look at where we’re trying to find birds, but I can also look at where these boats are,” he says. “If they happen to be going toward the flock of birds or anything like that, I can choose a different flock because I can acquire the target and it will tell me the direction it’s heading and the speed. 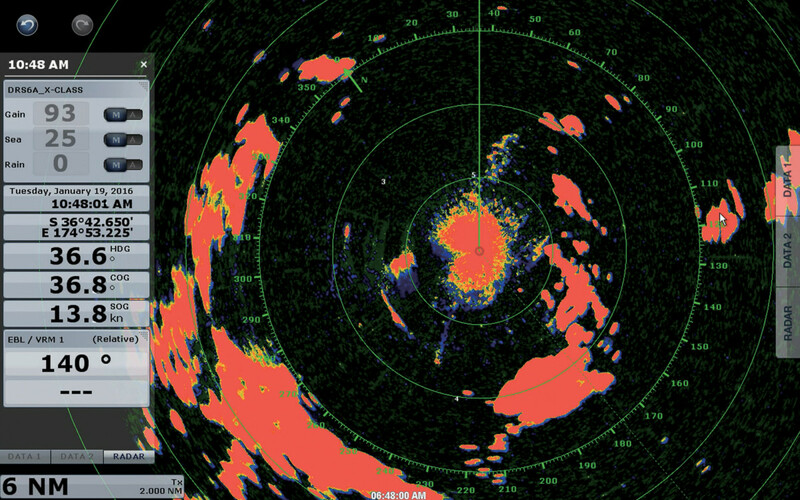 By virtue of the trails you can set it where you can see without even trying to acquire a target.” Padgett is talking about target echo trails, which can be set to indicate target movement with each sweep of the radar. Boats generally have straight tracks, while birds have a seemingly random pattern based on their aerial circling over a school of tuna, and hopefully the billfish harassing them. 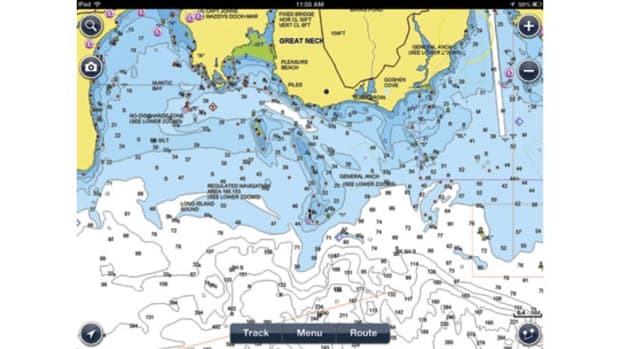 Garmin’s Panoptix sounder shows detail in 3-D.
Steve Sprague runs a Jupiter 38 with triple 300-horsepower Yamaha outboards and he fishes on the Southern Kingfish Association trail, and several other tournaments. 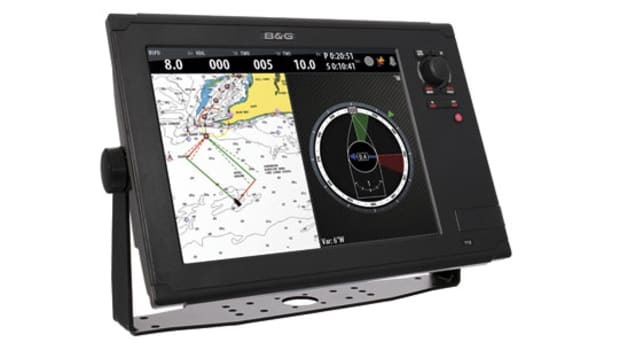 Sprague’s helm has a pair of Garmin GPSMAP 8617 multifunction displays linked to a Panoptix fishfinder system. 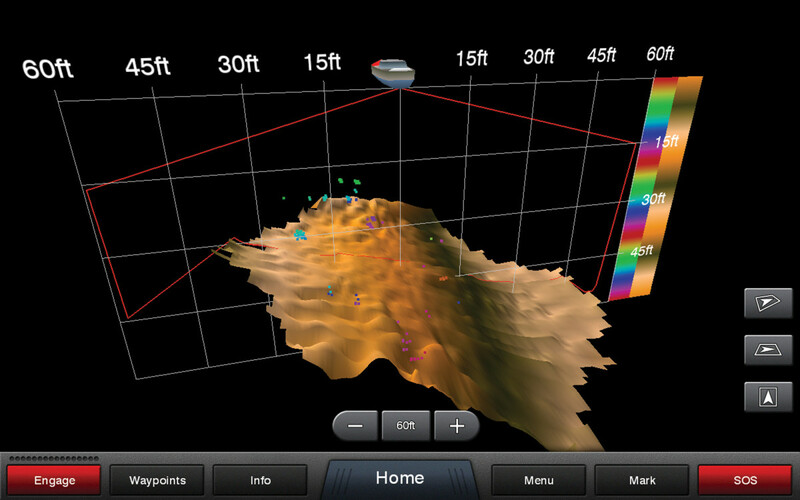 Sprague says the fishfinder works really well for searching at speed. “I have my transducer flush-mounted on the bottom of the boat so I can read going at a good speed,” he says. “I’m running 40 and holding bottom. 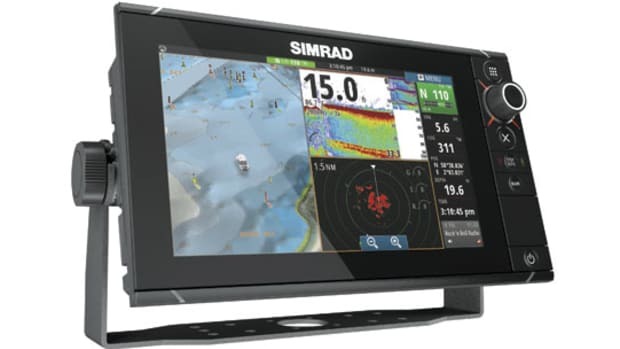 I don’t know if it’s a combination of the fishfinder or the way it’s mounted in the Jupiter 38 or what.” Once Sprague finds a promising area with the structure and bottom composition he’s after he can dial in the screens to show what he wants to know. No matter what kind of fishing draws the focus of these anglers, all of it is for naught if they wind up in a dangerous weather situation. 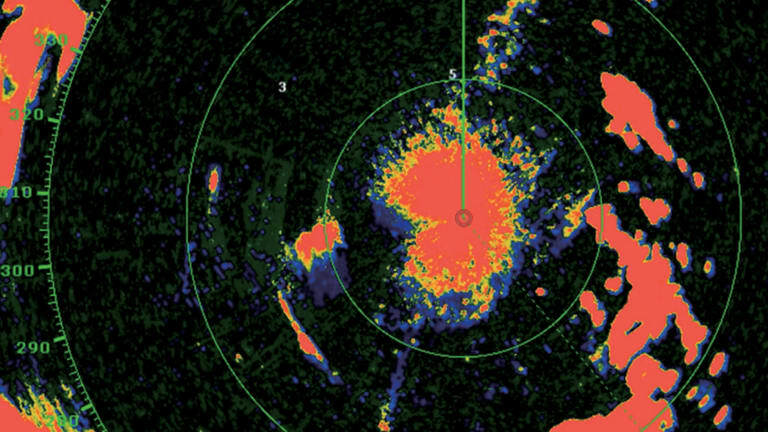 Keeping one eye on the skies lets them improve their efficiency by helping to optimize fishing time. Sprague uses Sirius XM satellite weather in conjunction with his Garmin xHD2 radar system, in much the same way Padgett puts together the whole picture with his radar in conjunction with Furuno’s weather app. 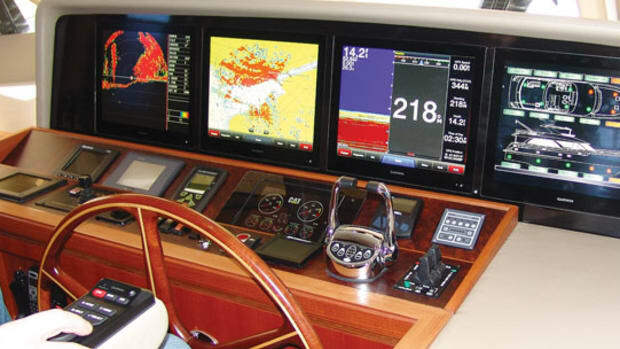 With the continued evolution of electronics, it’s up to boaters to adjust their thinking and upgrade their systems. Only then will they see their capabilities take off and reach new heights. How Do Sailors Use Electronics?